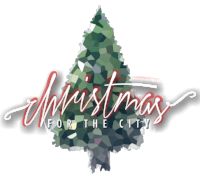 We are very excited about this year’s Christmas for the City (are we ever NOT excited about CFTC?!) and are looking forward to sharing with you how your non-profit can once again participate this year with the desired outcome of increasing connections among the people of our city serving one another together in solidarity. CLICK HERE for full details. If hosting an interactive experience, please describe what you are planning. Christmas for the City is completely supported by financial donations, in-kind donations and A LOT of "sweat equity" from across the city! While there is absolutely NO FEE associated with participating in the non-profit aspect of CFTC, we would ask you to consider a $25 or $50 donation to help with some of the fixed operational expenses of the event. Thanks!